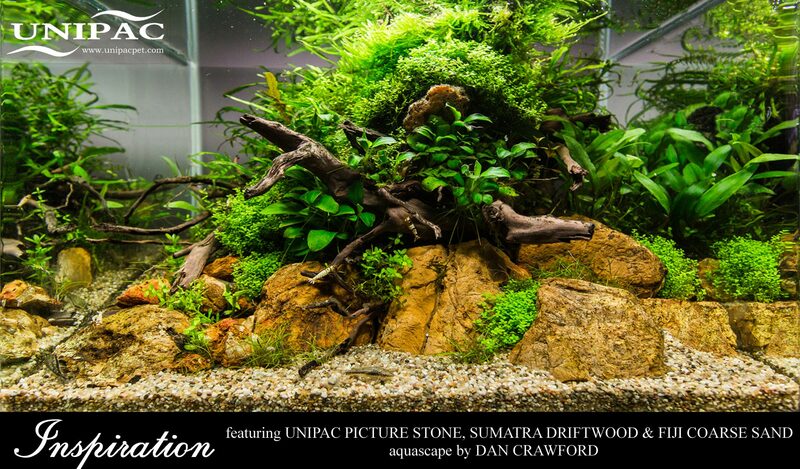 Practical Fishkeeping, the magazine for those who really want to know about keeping exotic fish, produced a great article by Jeremy Gay about setting up Iwagumi aquascapes. These are are a Nature Aquarium style, pioneered by Takashi Amano and use many of the Japanese gardening principles. Iwagumi means “rock formation.” A Japanese rock garden will use the rocks as the “bones” of the layout. Although it usually consist of three or five rocks they will not be of equal size. Quite often it will involve one main or large rock flanked by two smaller rocks. In the example he builds for the article he uses Unipac’s Okiishi artificial rock. Download the article to read.